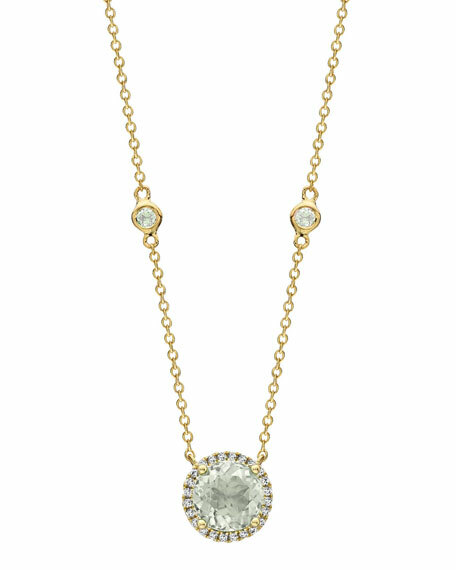 Kiki McDonough necklace from the Grace Collection. Integrated round prasiolite pendant, 10mm. Pavé white diamond halo setting. 1.48 total prasiolite carat weight.